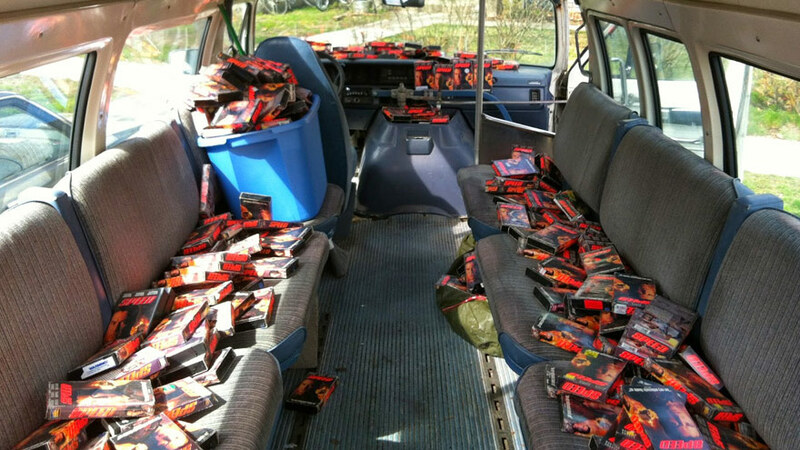 So there is this guy, Ryan Beitz, and his mission is to collect every single VHS copy of the action-packed thriller Speed. 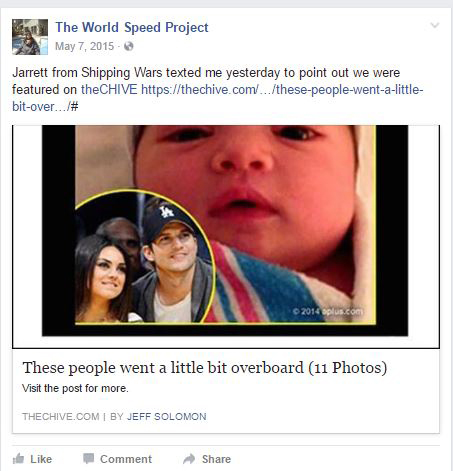 He calls it the World Speed Project. Why, you may ask, would a young man undertake such a pointless and time-consuming task? Is he obsessed with Sandra Bullock circa 1994? 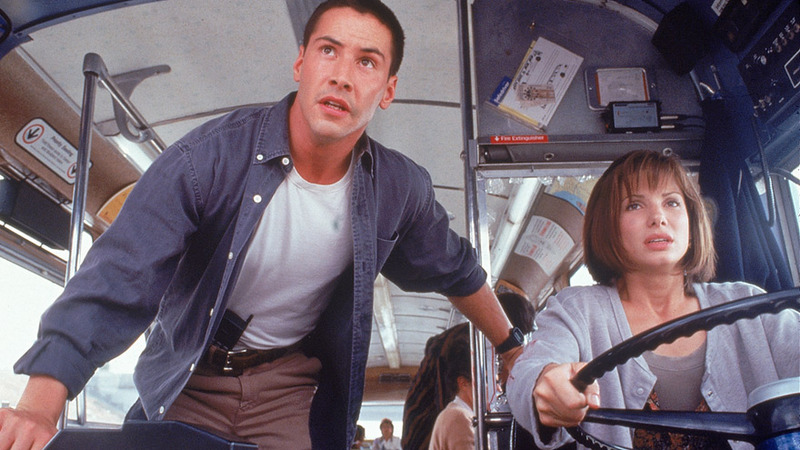 Is it his life’s goal to learn to drive a bus vicariously through her quick maneuvers? 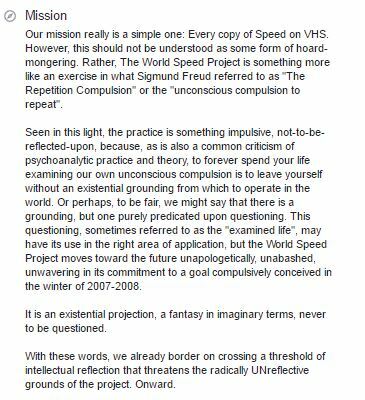 Well, in anticipation of HDNET MOVIES “Twice the Speed” airings this December, here is a peak into Ryan’s unfinished story. Ryan, now in his 20s, was living in Seattle (he is from Pullman, WA) and going to art school, with barely a penny to his name. He had to think of what to get his family for Christmas and though dumpster-diving was an option he used in the past, he decided to check out a pawn shop this year. 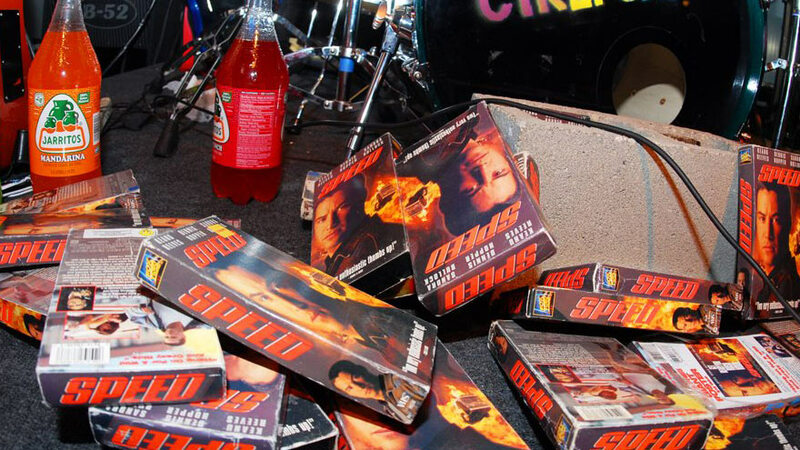 When he spotted the six copies of Speed in this shop, he thought it would be hilarious to get everyone in his family the same gift and watch them all open it. He even bought himself a copy! 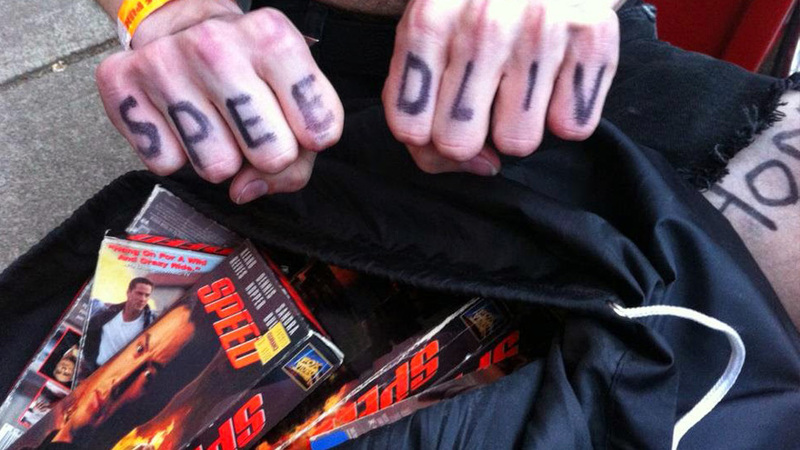 But then he says, before he could even go through with that, he realized “it was really fascinating to have that many, like, same copies of a thing.” And what really hooked him into this idea of collecting EVERY SINGLE VHS copy of Speed was when he walked into another pawn shop that had nearly 30 copies of the film. The clerk sold them to Ryan for 11 cents and it was at that point the World Speed Project came into fruition. Over the years, Ryan continues to collect tapes thanks to the many generous donors, and some five-finger discounts. He is always sure to show his appreciation by posting about it on the Facebook page. 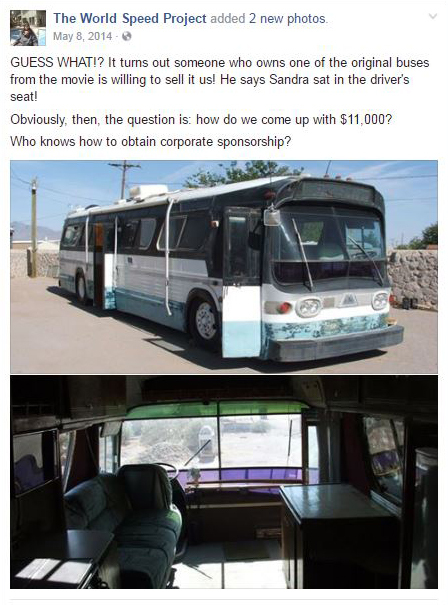 Sadly though, the Kickstarter failed to make the $11,500 for the actual Speed bus (he fell $8,895 short) and a month later, Ryan had to abort that mission. But he did raise enough money to paint the van that holds all his tapes and last we heard, designs were being worked on for the van’s paint job. The Kickstarter campaign also offered the project some free publicity. In April and May, Grand High Chairman Ryan (as he refers to himself) was featured in several media outlets, from Good Morning America to VICE Magazine to NPR, and various local outlets. In 2015, Ryan enjoyed further press, making it on BuzzFeed’s 26 Things We Just Really Need To Talk About list and High Times 8 Annoying Weed-Buying Situations list (reason #8 – Abiding By Their Rules). 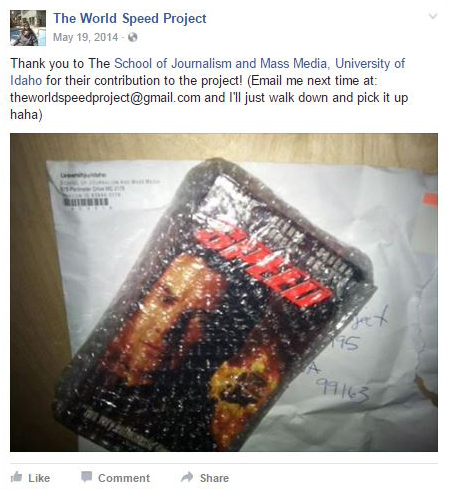 Time Magazine also came out with an article that included him on a list titled ‘Top 10 Inept Terrorist Plots‘ but that had nothing to do with VHS tapes. And to get current, Ryan has stopped counting the number of tapes he has, though it is safe to say it is well over the 500 he had a couple years ago when the press coverage and Kickstarter began. Judging from the address he provides on his website, he is back living in Pullman, but not for long. Per his last Facebook post dated June 10, 2016, Ryan is headed to Finland next year. No word on whether the project will continue, though I doubt this far in the game he would let Sandra and Keanu down by quitting. Repeat airings on Thursday, December 15th starting at 9/8c and Saturday, December 31st starting at 7/6c as part of our Race to the New Year block of films.